Warburton Attorneys advises on sustainability law and policy issues for a broad range of clients including: other law firms, environmental consultancies, large industrial and mining clients, small to medium-sized industrial operations, government agencies and private nature reserves. Warburton Attorneys collaborates with IMBEWU Sustainability Legal Specialists (Pty) Ltd, a sustainability legal consultancy. For more information please visit www.imbewu.co.za. Warburton Attorneys has specialist expertise in renewable energy projects. Warburton Attorneys has concluded numerous environmental legal due diligence investigations of wind and solar energy facilities. Warburton Attorneys has also conducted energy-related environmental legal due diligence investigations focusing on the storage of fuel, as well as the independent procurement of coal-based power. Warburton Attorneys is involved in the drafting of various legal opinions, focused on the authorisation requirements associated with renewable energy projects such as the installation and operation of biomass plants at sawmills and the installation of renewable energy facilities on mining operations. Warburton Attorneys has been actively engaged in a wide range of mining projects. We have conducted mining due diligence investigations, prepared legal opinions and have provided ongoing strategic and legal advice regarding complex authorisation, compliance and closure processes in the mining industry. We further assist with mine closure applications including High Court litigation associated with these applications. 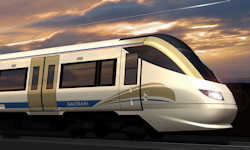 Warburton Attorneys advises the Gautrain Management Agency on the environmental legal aspects of the Gautrain project. The Dube Trade Port (DTP) is the evolving trade infrastructure hub associated with the King Shaka International Airport on South Africa’s east coast. Warburton Attorneys has been working with the DTP Corporation since 2010 on various environmental matters. We have also provided advice to various road development project teams and on certain Bus Rapid Transit projects. Warburton Attorneys is currently assisting various retailers with a range of waste-related procedural and contractual matters. 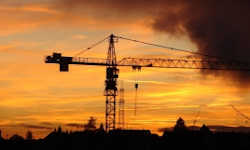 Warburton Attorneys provides ad hoc environmental legal advice to various environmental consulting companies, including but not limited to, advice related to EIAs and other environmental authorisation processes. Warburton Attorneys has been involved in a wide range of projects in this capacity across various sectors. Warburton Attorneys acts for a number of private nature reserves on environmental-related matters. It has assisted these reserves with objecting to development applications and with EIA appeal processes concerning proposed developments which would impact on our clients’ operations. 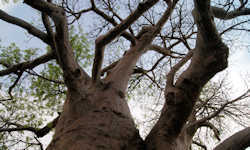 We assist with biodiversity-related legal advice for these reserves as well as with land owner and reserve management legal disputes. We also provide advice and ongoing support for the development of new lodges or the declaration of protected areas. We provide a full range of dispute resolution services on environmental matters including High Court litigation and arbitration. We provide these services in conjunction with specialist advocates who have many years of experience in environmental matters. Warburton Attorneys has been involved in a number of arbitrations concerning the apportionment of environmental liabilities. Warburton Attorneys is further acting for an accused entity in a private prosecution in terms of section 33 of the National Environment Management Act 107 of 1998 in the High Court of South Africa. For further information regarding projects or experience in a particular area or discipline, please contact us.